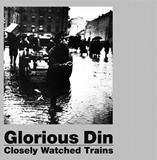 Glorious Dins second album, Closely Watched Trains, had a very different sound from its predecessor. Eric was listening to a lot of Nick Drake, so they mixed the vocals and guitar much louder than the other instruments. Nevertheless, the album showed a growth and maturity on the bands part. Paget plays a metal dobro on some numbers, which adds a sheen of folk to the post-punk proceedings, as heard on the opener Stilt Walkers. 1651 Map has Cope seemingly recounting a colonial uprising or an industrial dispute over a sparse rhythm led by Pagets minimal guitar, and early number Voices Everywhere is here reprised as a joyous blast, the lyrics speaking of a pending arrival. How a boy from the Sri Lankan jungle formed the greatest post-punk band youve never heard.Fronted by an intense singer with an oblique songbook and a mysterious past Glorious Din were unlike any other group to emerge from San Franciscos 80s underground. 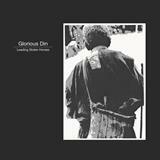 With singer Eric Cope, the chosen persona of a Joy Division-obsessed Sri Lankan boy who travelled halfway around the world to follow his punk dream.Glorious Din released "Leading Stolen Horses" on their own Insight in April 1985. The album stayed close to the sound they achieved live, conjuring something intense and atmospheric. The driving Tenement Roofs has a jagged energy, Pagets chugging guitar paralleling Herstedts solid rhythm, as Heeschen creates slow melodic patterns that spiral upwards, and Cope sings of long hours passing in slow motion. Pallet To The Floor is just as striking on the album as it was in the live show, with Heeschens bass ratcheting up the intensity as Cope intones, "All will not drip / From the pallet to the floor," and repeatedly asking, "Have we all gone madCello Tape, Sixth Pillar and Insects sound similarly dark; in contrast, Arrival wonders of nature, as experienced in his western wanderings. Water From The Temple.